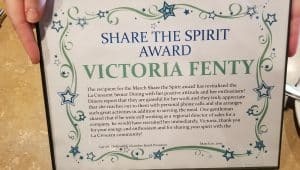 Victoria Fenty, Semcac’s Senior Dining Site Manager in LaCrescent was awarded the “Share the Spirit Award” by the LaCrescent Chamber of Commerce, on March 20, 2019! 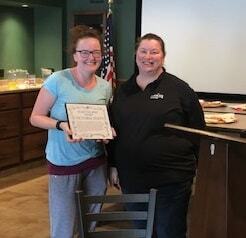 The award was given for her outstanding accomplishment of revitalizing Senior Dining Program in LaCrescent. Congrats Victoria, we are so lucky and happy to have you on our team!